Isaac played a hunky, sensitive Joseph to Keisha Castle-Hughes’ underage Mary in director Catherine Hardwicke’s take on the events surrounding the birth of Jesus Christ. I certainly noticed the actor, but there was nothing at the time to indicate what a versatile, intriguing performer he would become. Or perhaps he always was, but didn’t have the chance to show it until many years later. In trailers and promotions, the actor hasn’t enjoyed as much play as John Boyega, aka Finn, or Daisy Ridley, who portrays Rey. 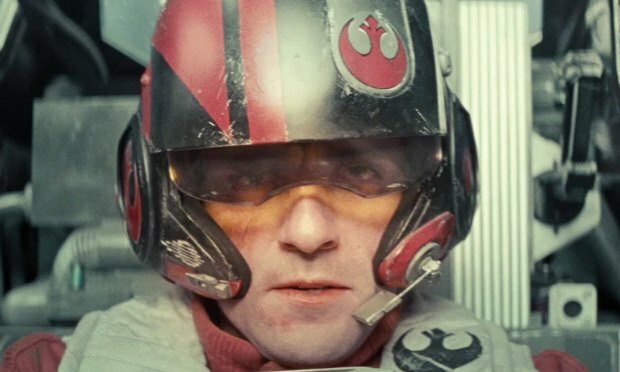 We know his character is an X-Wing pilot and a soldier in the Resistance. We’ve seen him shaking hands with Finn and being tortured by Kylo Renn. He may be master of adorable droid BB-8. But Poe remains largely shrouded in mystery. That’s appropriate because J.J. Abrams could not have selected a more mysterious actor to portray this key figure in the new Star Wars trilogy. Neither movie was very good, but Isaac delivered memorably flamboyant performances in both of them. The films weren’t really an indication, however, of the cinematic nuance Isaac is capable of. As the title character in Joel and Ethan Coen’s electrifyingly beautiful, achingly sad folk drama, Isaac leaves a lofty and lasting impression. This is one of the Coens’ love it or hate it films and it was roundly ignored by the Academy come Oscar time. I could deal with that, but not with the fact that they totally snubbed Isaac, my pick for best actor that year. Capitalizing on his Juilliard education and experience as a guitarist and vocalist, Isaac takes a character who is basically a complete jerk and shows us his worth while delivering soulful, convincing renditions of folk songs, circa 1960s Greenwich Village. 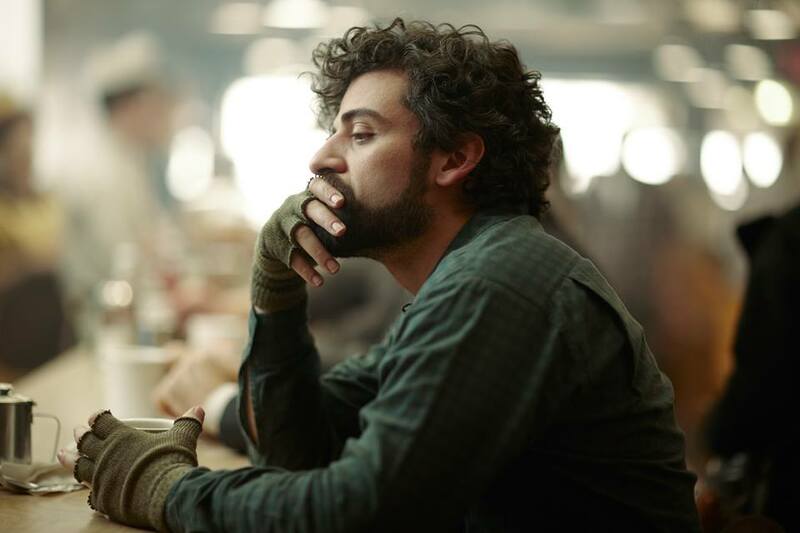 Thanks to the actor, we may never grow to love Llewyn Davis, but we understand him — a tortured artist who cannot function in a world that has turned its back on true art. 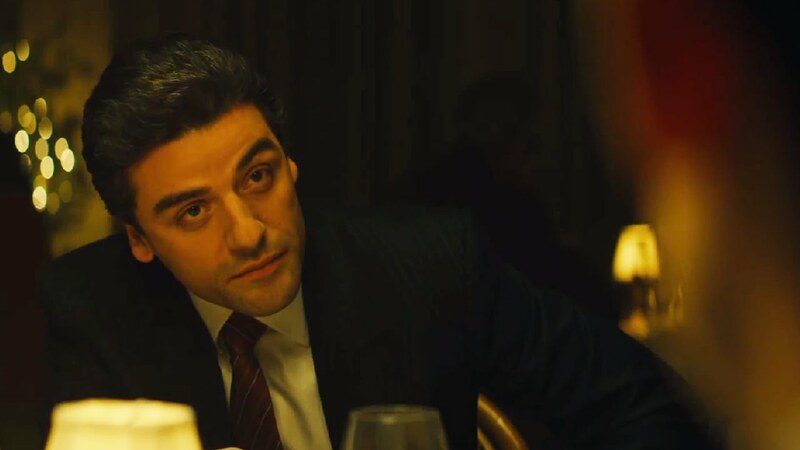 Isaac embraces his inner Al Pacino, but not in a way that feels crass or derivative in this anti-gangster film by up-and-coming director J.C. Chandor. As an immigrant’s son, who sets out to use his considerable optimism and determination to build a business empire in 1980s New York, without falling victim to the corruption that surrounds him, the actor radiates confidence mingled with an increasing desperation. Jessica Chastain plays his wife, the daughter of a jailed mob boss. She’s the Lady Macbeth to Isaac’s would-be empire builder. Together, they whip this drama into a frenzy of tragedy, as Abel wills himself to resist temptation, even as he is manipulated by virtually everyone he knows. The actor’s gift for evoking menace, mystery, and even a hint of comedy, is on full display in this sleek, suspenseful, breathtakingly twisty science-fiction thriller. Isaac appears opposite “Force Awakens” co-star Domhnall Gleeson and Alicia Vikander, of “The Danish Girl,” as a sort of bizarre, tech-savvy Willy Wonka, presiding over a strange contest involving the development of an uncannily lifelike artificial intelligence. Nathan Bateman is the genius creator of a Google-like search engine, who lures Caleb, one of his brightest programmers, not to a chocolate factory but a pristine, minimalist compound in the mountainous middle of nowhere. Part Steve Jobs, part frat boy, Nathan is, well, a total tool who drinks heavily, says “dude” a lot and displays confounding mood swings. Isaac builds layer upon layer into what could have easily been a one-note role, injecting weird humor into his character’s darkness. And he participates in one of the funniest, most disturbing dance sequences in cinema history. I’m pretty sure Poe’s got nothing on his moves. Photos: http://www.latino-review.com; insidellewyndavisfilm.tumblr.com; http://www.youtube.com; http://www.cineplex.com. 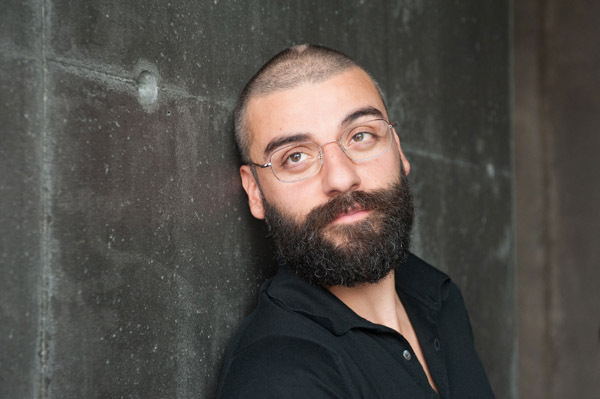 This entry was posted in Uncategorized and tagged A Most Violent Year, Alicia Vikander, Domhnall Gleeson, Ex Machina, Inside Llewyn Davis, JJ Abrams, Oscar Isaac, Poe, Robin Hood, Star Wars, Star Wars Episode VII The Force Awakens, Sucker Punch, The Force Awakens, The Nativity Story on December 15, 2015 by Lavender Vroman. The Force has awakened with a vengeance. For the first time in 10 years, a new Star Wars movie will open in theaters — on Friday, Dec. 18, to be exact. In this age of social media and relentless Internet coverage, the impending arrival of “Star Wars: Episode VII — The Force Awakens” has provoked obsession, curiosity and controversy, the likes of which have never been seen before. Everyone has watched the trailers. Footage has been analyzed and reanalyzed and given rise to theories and speculation. It’s difficult to get through a conversation without talk turning to the absence of Luke in the trailers — Is he dead? Is he the bad guy? What’s up with that robot hand? — or whose children Rey, Finn or Poe could be. Everyone has fallen madly in love with a rotund little droid named BB-8. You can’t set foot into a store without being confronted by shelves of plastic lightsabers, Kylo Ren action figures, and T-shirts. Oh, the humanity — the T-shirts! In other words, it’s a wonderful time to be alive if you happen to be a Star Wars fan. Maybe the most wonderful time in all of history. In celebration, we’re launching a month-long countdown to the theatrical debut of “The Force Awakens.” Beginning tomorrow, new Star Wars-related content will be featured on this blog almost every day. We’ll have essays by fans about what the franchise means to them, stories examining the actors and filmmakers behind Disney’s ambitious new plans for George Lucas’ sci-fi universe, and photographic trips down memory lane. You’ll also find links to some of our favorite Star Wars stuff online, as well as lifestyle features, including Christmas gift guides, essential swag for midnight screenings, and other helpful tips to make the month-long wait a little easier to bear. This experiment in Lucasfilm love wouldn’t be possible without the many fascinating writers and Star Wars junkies who contributed their talents, words and memories. We’re hoping this little tribute to “The Force Awakens” sparks lively discussion and participation, so please comment, post, share. Chime in enthusiastically and often with your feedback, ideas and thoughts. The Force is calling to us and we’re gonna let it in. This entry was posted in Uncategorized and tagged BB8, Disney, Finn, George Lucas, Kylo Ren, Lucasfilm, Poe, Rey, Star Wars, Star Wars Episode VII The Force Awakens, the Force, The Force Awakens on November 18, 2015 by Lavender Vroman.